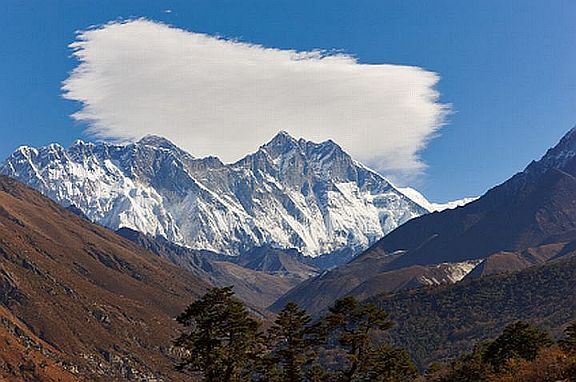 Lhotse is the fourth highest mountain in the world. It is located on the borders of Nepal and Tibet. The peak is 27,940 feet (8,516 m.) high. 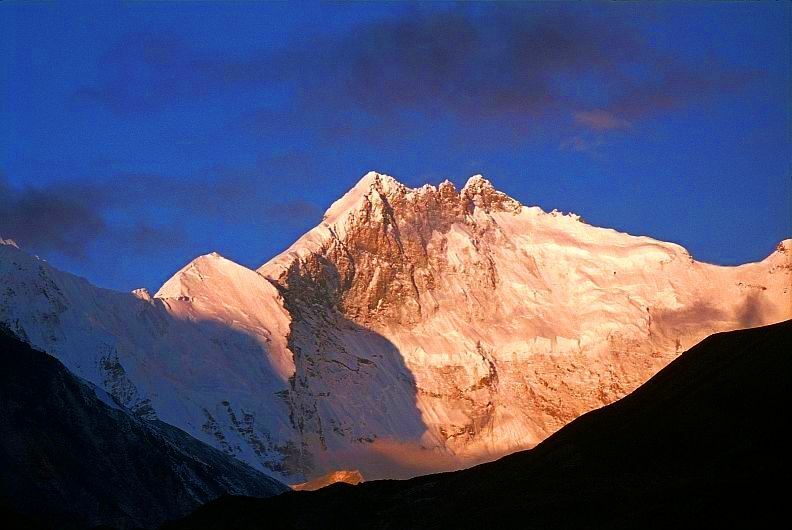 Its summit is connected with Everest by a high pass known as the South Col. It has two other sub-peaks: "Middle" at 27,606 feet (8,414 m.) and "Shar" at 27,505 feet (8,383 m.). The main peak was first climbed on May 18, 1956 by Swiss climbers, Ernst Reiss and Fritz Luchsinger. The first winter ascent was made on December 31, 1988 by Polish climber, Krzysztof Wielicki. Climbers must climb the nearly 4,000-foot ice-covered face of this mountain in order to reach the South Col, the highest camp on Everest.